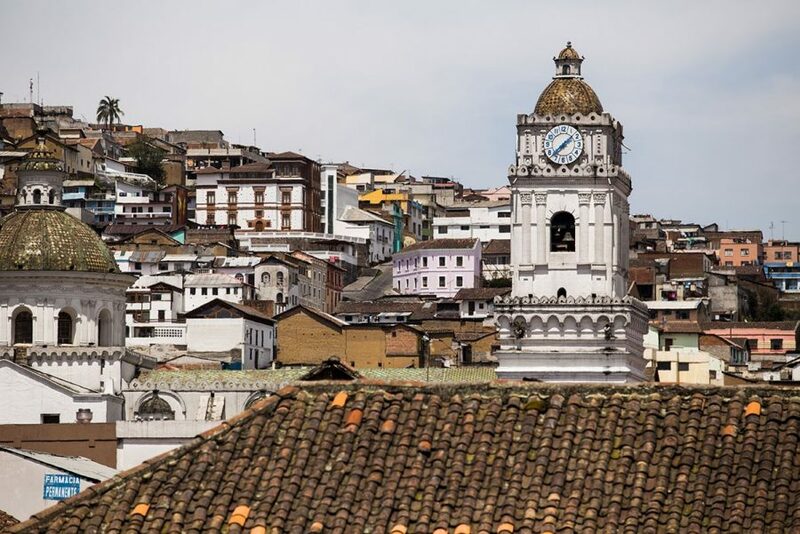 This nine-day tour allows you to discover the best of Ecuador and see all its diversity. Every day you will have the opportunity to enjoy a rich and nutritional breakfast so you can start off with loads of energy. 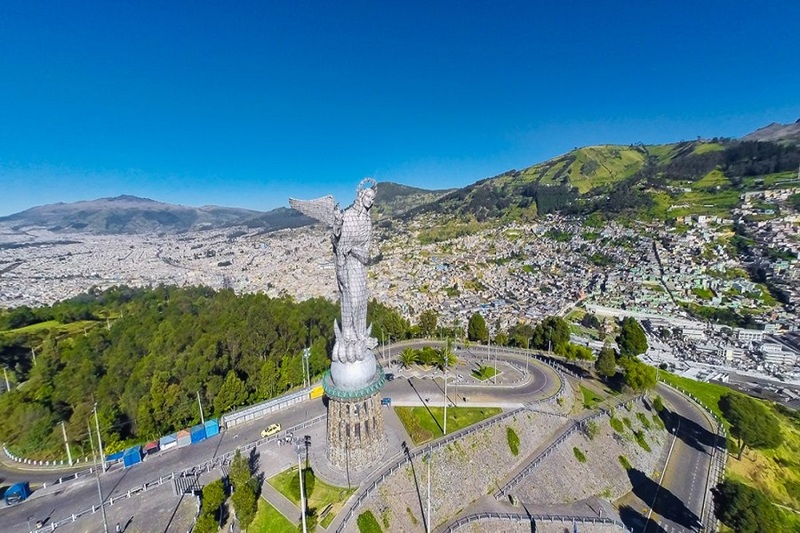 You will hike the Guagua Pichincha and have a breathtaking view above Quito, Ecuador´s capital city. The historical center will explored by bike. 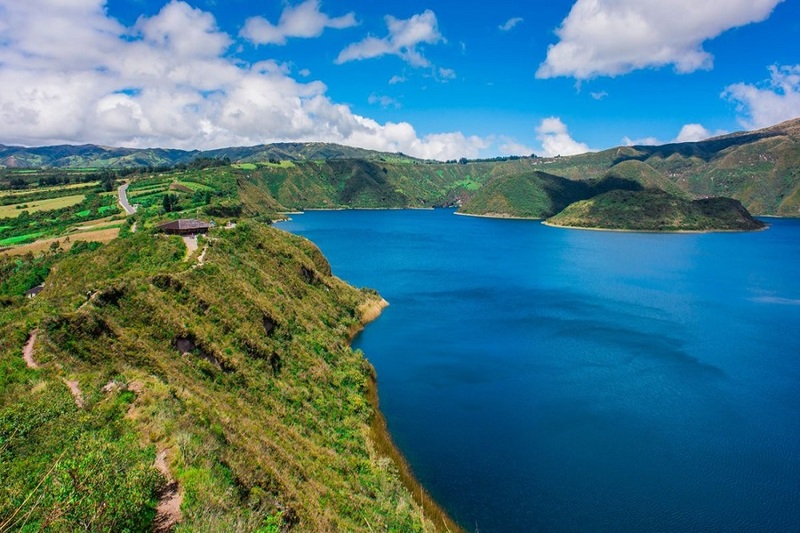 Furthermore you will ascend the Fuya-Fuya summit, relish a picnic at the Mojanda Lagoon and walk around popular Otavalo as well as around the beautiful Cuicocha Lagoon. 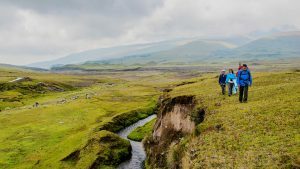 You will have the opportunity to hike the Rumiñahui Volcano in the well-known Cotopaxi National Park and the incredible Illinizas Norte. The adventurous tour is then followed by a stop in the stunning city of Baños, where you will explore the waterfalls. Our last stop is Tena, where you can enjoy a river rafting tour and after all you may relax in the hot springs of Termas de Papallacta. You will arrive at the International Airport of Quito, where our driver will pick you up and bring you to your hotel. After breakfast we leave for the trekking of the Volcano Pichincha passing by the small town of Ilalo. The Pichincha is the closest volcano to Quitovand has two main summits of which you will be hiking the highest one called Guagua (4776 m). Having reached the summit we will start an exciting mountain bike dwonhill tour. Afterwards we will visit the historic area of Quito, Ecuadors capital and the center of the world also by bike. This beautiful city will take you back through 500 years of history, cultural sites and views which you will never forget. After having a tasty breakfast at you hotel you will leave for the ascend of Fuya-Fuya (4265m) where you will have a magnificent view of two of the three sparkling Mojanda lakes (Caricocha and Yanacocha). 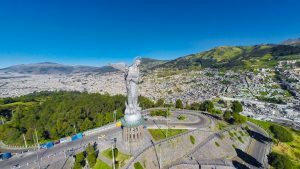 If it is a clear day you may also see the snow-capped peaks of Cotapaxi, Cayambe and Antisana, the craters of Cotacachi and Imbabura, and you will be able to spot Quito and Otavalo. 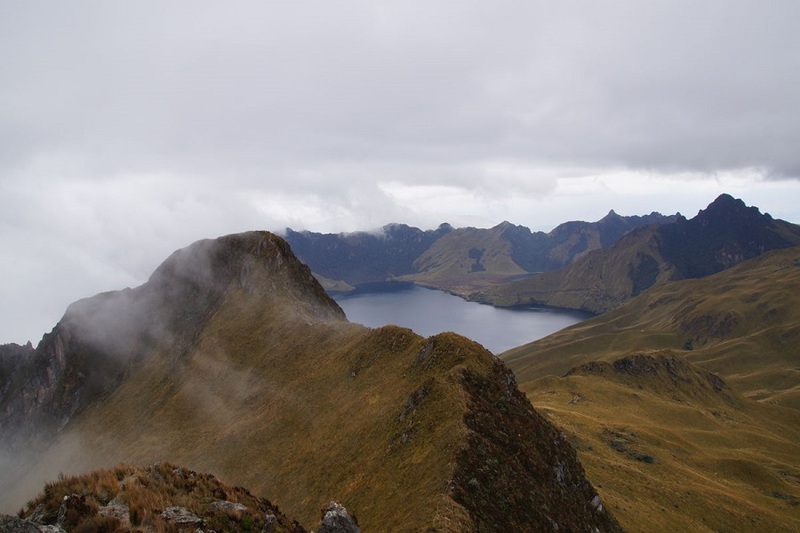 The ascent of Fuya-Fuya is a perfect preparation for climbing higher Andean peaks. 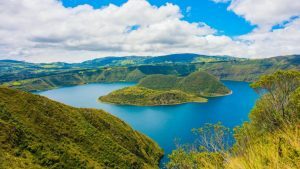 Then we will have lunch at one of the Mojanda lakes and go to Otavalo for a light jog. You will have a healthy breakfast at your hotel and then leave for the enchanting Cuicocha Lagoon. 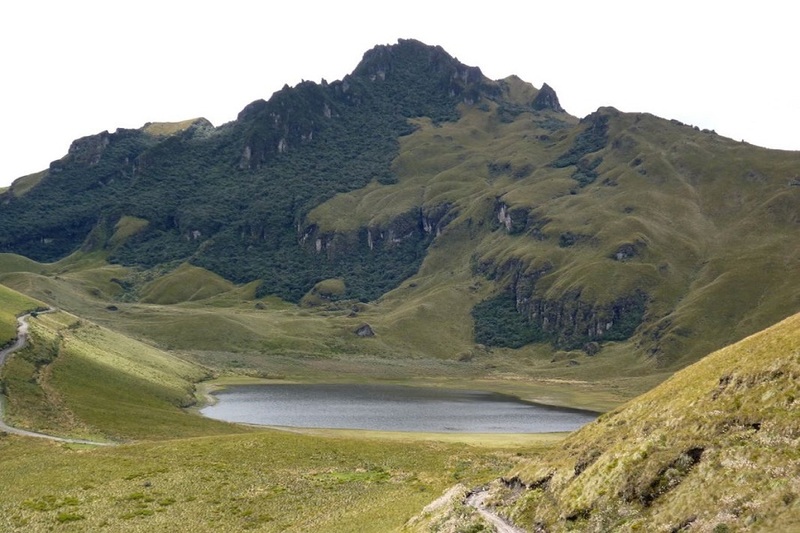 It is located on the northwestern range of the Ecuadorian Andes, in the Cotacachi Canton, 110 km to the north of Quito and at 3064 meters above sea level. 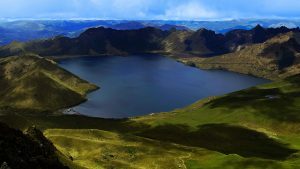 Cuicocha is a young volcano that started its activity 4500 years ago and is resting since then. After a countrysite jog around the lagoon of Cuicocha we will relax and enjoy the view while havn our box lunch. Afterwards we will return to Quito. Before leaving by car for the base of the long extinct volcano Rumiñahui you will enjoy a rich breakfast at your hotel. Having arrived at the volcano you will begin the ascent after a short briefing. 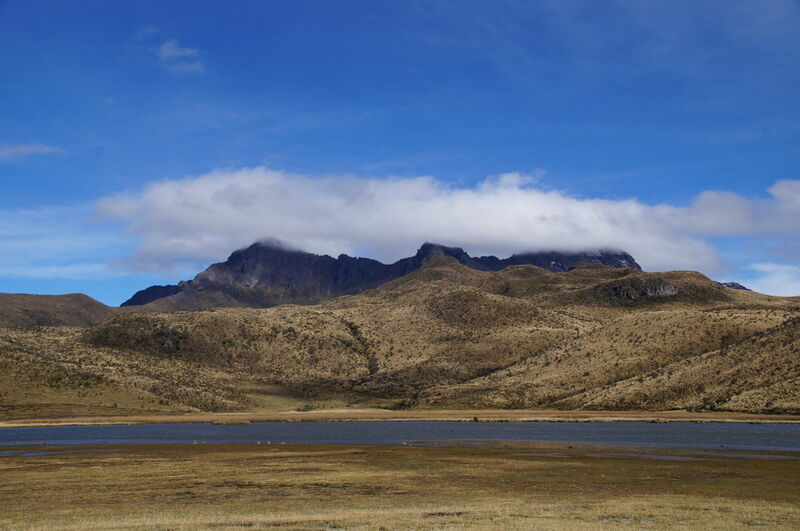 Rumiñahui is located in Cotopaxi National Park southern of Quito. 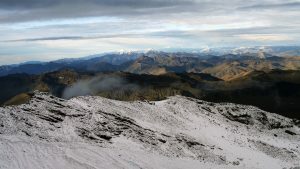 The three highpoints are Rumiñahui Norte (4712m), Rumiñahui Central (4631m), and Rumiñahui Sur (4,696m). 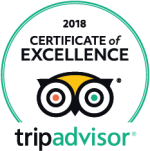 This tour is an excellent acclimatization climb with an exciting finish and epic views of El Corazón, Ilinizas, Sincholagua, and the majestic Cotopaxi. On the way to the summit we will stop for a energy-boosting lunch. After reaching the summit we will descent and return to the Hostería PapaGayo for a relaxing hot shower. At the Hostería you will have a satisfying breakfast of your choice. Afterwards we will depart for our sating point “the Virgin” at a height of 4000m. Then we will climb the stunning Illinizas North after a short briefing. Get ready for a steep climb through magnificent landscape followed by an exhilarating scramble to the summit. On the way we will stop and have our box lunch while enjoying spectacular views. For the more adventurous only! After the descent you will be transferd to you hotel in the city of Baños. Baños de Agua Santa, also known as Baños, is a city in the eastern Tungurahua province in central Ecuador. 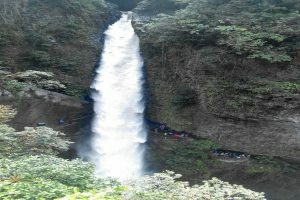 Baños is one of the most popular cities in Tungurahua for adventure and tourism. 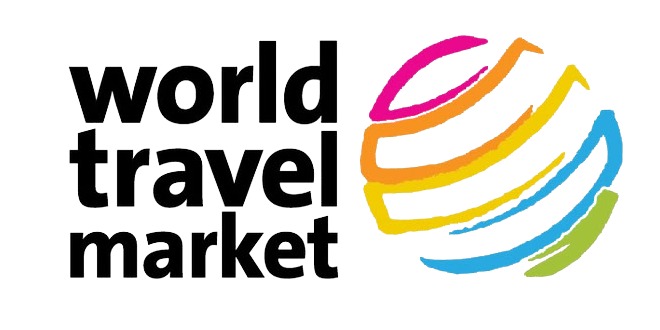 It is known as the “Gateway to the Amazon” as it is located on the Pastaza River in the High Amazon Basin. The city is intimately linked with the highly active Tungurahua volcano. After breakfast we begin our bike tour towards the Avenue of Watrfalls, where we will hike down to the waterfall “Pailon del Diablo”. Then we will have our lunch box before kayaking. Afterwards we will laeve the Avenue of Waterfalls for a transfer to Tena, where you will check in in you hotel and have dinner. We will have an early transfer by car to the starting point of our rafting tour near the river. Warm water, tropical rainforest and several rivers available in the area of Tena makes it the best place for rafting. 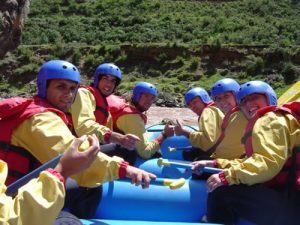 We will start our way down the river while passing beautiful landscapes and outstanding rapids.Be prepared for a adrenaline boost and lots of fun! Afterwards we will stop for a delicious lunch and then head north to relax in the hot springs of Papallacta. After an early breakfast we will head back to Quito Airport for your returning flight.